Are albino killings about witchcraft? Media in Tanzania and internationally have given sustained and significant media attention to this killing of people with albinism in Tanzania. These reports connect it with witchcraft and the killing of people suspected to be witches.One recent example in Reuters includes much good information, even a claim of 763 murders of witches in 2013. But it also contains this confused and untrue sentence: “…one of a rising number of women targeted by vigilantes accusing witches of fuelling the murder of albinos whose body parts are prized in black magic.” Someone is accused of using witchcraft to kill just about anyone who dies, but according to every person I have discussed with albinos body parts are used by healers (waganga wa kienyeji) to bring prosperity, not witches (wachawi). 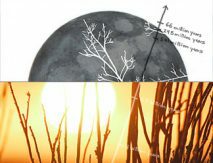 What are the actual connections and what are the significant differences between killing “witches” and killing albinos? People are being murdered in Tanzania: 75 people with albinism since 2000 and 7,500 people suspected as witches in the same period. It seems that the albino killings have declined since 2010 thanks to interventions, but the “witch” killing numbers continue to trend upward from 500 per year to over 700 and 600 for 2013 and 2014 respectively.Numbers in news reports such as this one in the Huffington Post claiming an average of 500 per year are all based upon the research and reports of the Tanzania Human Rights Center, such as this most recent report. These in turn are mostly based on police reports. But independent research by one of my students reading police case files for recent years in Mwanza region and comparing with unreported cases in one village, suggest that these are reasonable estimates. In both cases, the greatest numbers have been killed in Northwestern Tanzania, especially among Tanzanian’s largest ethnic group, the Sukuma. [I]ndigenous religion was functional in small-scale societies, but … is not able to cope with the large-scale problems in this globalizing world. However, with the Sukuma this does not lead to a conversion to one of the ‘world’ religions, as happened among the Chagga and the Haya, but in the development of quasi-traditional activity. [By quasi-traditional we mean the cultural dynamics by which beliefs and practices are adopted within the traditional paradigm, by stating that they were Sukuma beliefs and practices ‘tangu zamani’ since long ago, whereas they were borrowed from other cultures or religions. As written documents are lacking, Sukuma memory is flexible.] (Wijsen and Tanner 2000, 8,9). 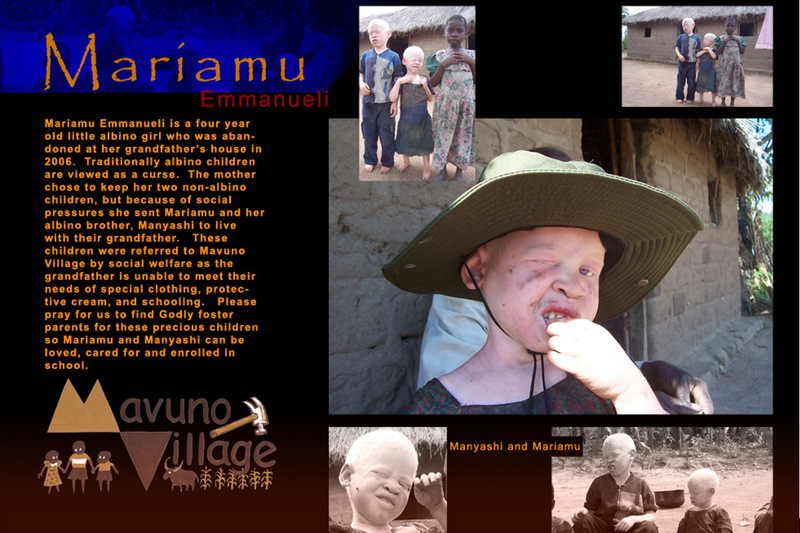 When I showed pictures of Mariamu to one Tanzanian Christian, she was grieved and blamed the healers. Then I mentioned killing suspected witches. 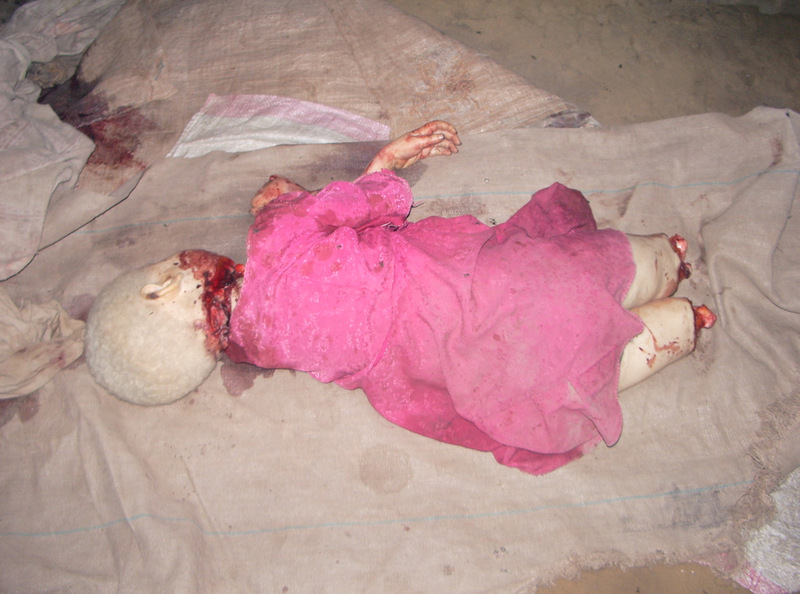 She said, “That is much better, because they have killed others until people are tired of them…. People have made certain they are witches before they kill them.” So albino’s are considered by locals to be innocent. They are being killed to add the power of their body parts to medicine which a healer has promised will bring wealth by finding gold, fish, etc. On the other hand killing a witch (mchawi) is considered execution of a murderer. The healer has pointed to this person as the source of illness, death or other problems. No one suspects the albino of being a witch. 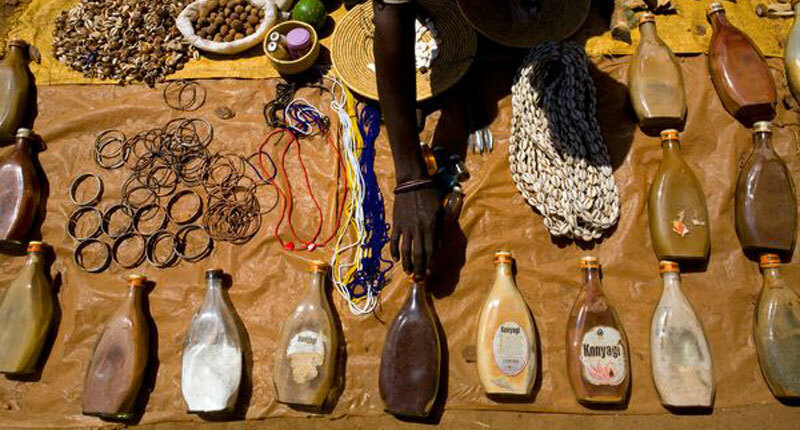 Their body parts are used in traditional healing (uganga) to bring prosperity by a healer (mganga), not to cause harm invisibly by a witch (mchawi) using witchcraft (uchawi). Therefore calling this witchcraft done by witch-doctors is confusing local categories of uganga and uchawi. Even if some Christians especially may accuse waganga of doing uchawi the local concepts are still distinct. Wijsen, Frans, and Ralph Tanner. 2000. Seeking a good life: Religion and society in Usukuma, Tanzania 1945-1995. Nairobi: Pauline Publications Africa. 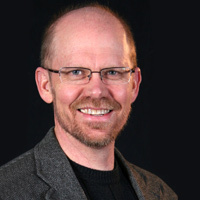 Steven D. H. Rasmussen, PhD has taught for 20 years in East Africa: Currently graduate students at NEGST in Africa International University; Previously at Lake Victoria Christian College in Northwestern Tanzania. Prior to Africa, he pastored in the USA.